Some time ago we have discussed the several techniques that can help reducing the database size. I have received quite a few responses on that post and several people asked if I could provide more details and examples. Today I will try to follow up on one of the methods, such as reducing the size of LOB data (in particular XML) in the database. As you know, SQL Server stores the data in regular B-Tree indexes in three different sets of the data pages called allocation units. The main data row structure and fixed-length data are stored in IN-ROW data pages. Variable-length data greater than 8,000 bytes in size is stored in LOB (large object) pages. Such data includes (max) columns, XML, CLR UDT and a few other data types. Finally, variable-length data, which does not exceed 8,000 bytes, is stored either in IN-ROW data pages when it fits into the page, or in ROW-OVERFLOW data pages. You can read more about it in the previous post and here. Enterprise Edition of SQL Server allows you to reduce the size of the data by implementing data compression. However, data compression is applied to IN-ROW data only and it does not compress ROW-OVERFLOW and LOB data. Any large objects that do not fit into IN-ROW data pages remain uncompressed. Unfortunately, there is very little we can do to reduce the size of the LOB data. SQL Server does not provide any build-in functional to address it. The only remaining option is compressing it manually – either on the client or with CLR routines. Obviously, compression and decompression adds overhead and, from SQL Server load standpoint, it is preferable to do it on the client side. However, in the large number of cases, you will need to access compressed data from T-SQL, and CLR integration is the only choice. Ideal implementation in that case would combine compression and decompression code in both tiers and use CLR only when it is necessary. Fortunately, .Net implementation of the compression code is very simple and can be done with DeflateStream or GZipStream classes. Below you can see the code of CLR functions that perform compression and decompression. You can also download entire project with the link at the end of the post. You can define the functions in the database with the following code (you either need to get byte sequence of the compiled assembly from the demo script or compile CLR project). Now let’s see the process in action, create the test table and populate it with some data. As you can see in Figure 1, LOB allocation units are using 96MB of space to store the data. The average size of the XML data is 20,897 bytes per row. It is also worth mentioning that actual storage size for XML is 3 data pages per row, which is 24,576 bytes. Let’s see what we can achieve by using compression. The code below creates another table and copies the data there, compressing it on the fly. As you see, the data is stored in varbinary(max) column. As you can see in Figure 2, we were able to reduce the size of the table from 96 to 10MB decreasing the size of the XML in every row from 20,897 to 2,674 bytes. It is also worth noting that in our case, the size of compressed data is less than 8,000 bytes and SQL Server was able to accommodate all the data using IN-ROW allocation units. Even though the new table is almost 10 times smaller than the old one, it has significantly more IN-ROW data pages in the index. This could introduce some performance side effects in some cases. For example, when system has poorly optimized queries that perform clustered index scans. Again, it could become the issue only if compressed data is less than 8,000 bytes. 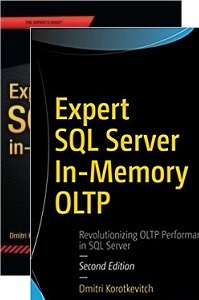 Otherwise, SQL Server will still store it using the LOB data pages. Obviously, this implementation requires schema and code changes. We can mitigate it a little bit by abstracting it with the views as it is shown below. We can even create INSTEAD OF trigger (yuck!) on the view to minimize the changes if absolutely needed. Speaking of the overhead, compressing and decompressing are CPU intensive and there is the performance penalty of calling CLR functions. It is not that noticeable when you need to decompress the single or very few rows; however, it could be very significant on the large data sets. For example, when you need to decompress and shred XML and use some of its elements in a where clause of the query. The code below shows such an example. The second SQL that accesses the compressed table has to decompress XML for every row in the table. The execution times of the statements on my laptop are 116ms and 6,899ms respectively. As you see, the compression definitely comes at cost. One of the ways to reduce such an overhead, is storing XML elements that are used in the queries in the separate table columns. Unfortunately, by-the-book approach with persisted calculated columns would not always works. 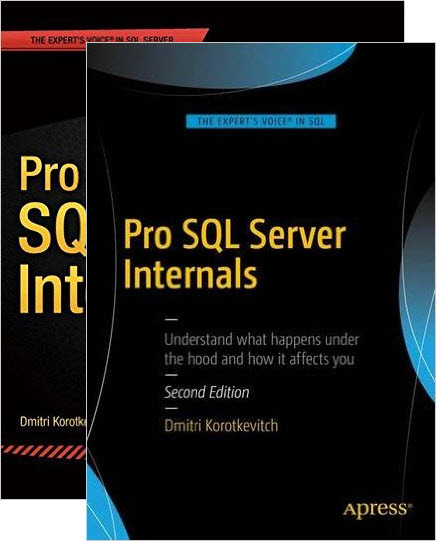 It is possible to create and persist such a column using user-defined functions; however, SQL Server would ignore it in some cases. The code below shows the example that creates calculated column that contains the attribute we are using in our queries. Unfortunately, if you ran the following query: select count(*) from dbo.vDataWithXML where ObjId = 3, you’d notice that SQL Server recalculates the value of the calculated column even though it is persisted and functions are defined as deterministic and precise. This is just the limitation of the Query Optimizer. Figure 3 shows that ObjId is recalculated. Now, if you run the previous query: select count(*) from dbo.vDataWithXML where ObjId = 3, it would work just fine and does not recalculate the column value. Figure 4 shows the execution plan in this case. It is worth mentioning that execution time of this query on my laptop is just 3 milliseconds comparing to 116 milliseconds of the query against dbo.DataWithXML table. The query is significantly faster because it does not need to shred XML to obtain ObjID value. Obviously, creating separate CLR methods for each calculated column can lead to some coding overhead. You can consider using regular columns instead and populate them in the code or even in the triggers. Each approach has the own set of benefits and downsides based on the use-cases implemented in the system. Compressing LOB data in the database could help you to significantly reduce the database size in the large number of cases. However, it adds an overhead of compressing and decompressing data. In some cases, such overhead would be easily offset by the smaller data size, less I/O and buffer pool usage but in any case, you should be careful and take all other factors into the consideration. 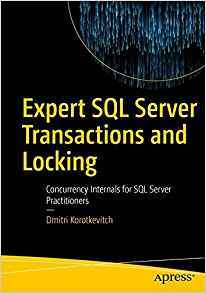 This entry was posted in SQL Server 2005, SQL Server 2008, SQL Server 2012, SQL Server 2014, T-SQL and tagged CLR, compression, Reducing database size on April 7, 2015 by Dmitri Korotkevitch.